Book signing at Queensland Law Society Symposium. The sponsors "ESS the search people" will be giving away copies of my book 101 Reasons to Kill All the Lawyers which is “the perfect gift for the busy lawyer. Funny, but not that funny that they need to read it”. I will be on hand at the ESS stand to sign copies of the book. 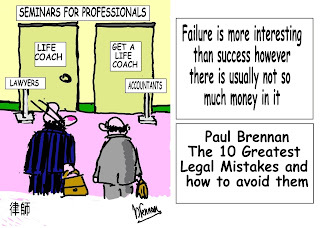 W. Brad Hanna, B.E.S, LLB., FCIArb. When the Godfather said “Keep your friends close, but your enemies even closer” he was quoting Sun Tzu, a Chinese Warlord who wrote the Art of War 2,500 years ago. Increasingly, disputes go legal. 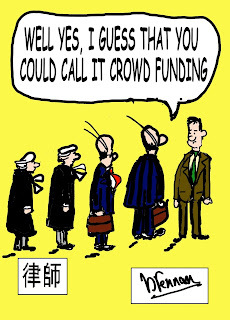 There are more lawyers around than ever before. People are increasingly aware of their rights, have more money and are less willing to let things go. 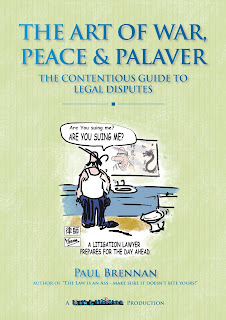 While not encouraging you to back away from the legal disputes that you can win, this book will give you the foresight to avoid or minimise disputes in the first place which is often the most effective but least popular option. Sun Tzu : “Supreme excellence consists in breaking the enemy’s resistance without fighting. Next, attacking in the field. The worst strategy is to besiege, as prolonged warfare is expensive”. 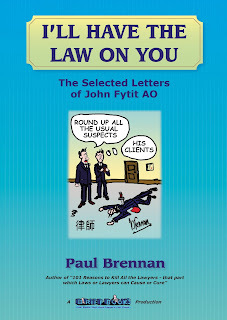 This book not only covers court actions, but fights with government departments, multi-nationals, club committees, your spouse, neighbours and all sorts of other people and organisations that wind you up. Sun Tzu : “Know the enemy and yourself, you need not fear the result of a hundred battles. Know yourself but not the enemy, for every victory gained you will also suffer a defeat. If you know neither the enemy nor yourself, you will succumb in every battle”. If a Chinese Warlord could temper decisive and sometimes highly aggressive action with planning and caution, so can you pause to consider the consequences of your actions and plan accordingly. It is so often the difference between victory and defeat. 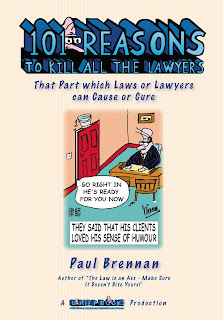 This book combines the qualities of a useful book on litigation with wry humour and the odd belly laugh. Whether you are a corporate warrior, small business owner or professional advisor, it will keep you amused while providing you with insights and the understanding to manage risk. In 2006, our first competition was a John Fytit look a like competition. There were a number of senior lawyers put forward by their staff but the winners were never identified or in most cases informed. 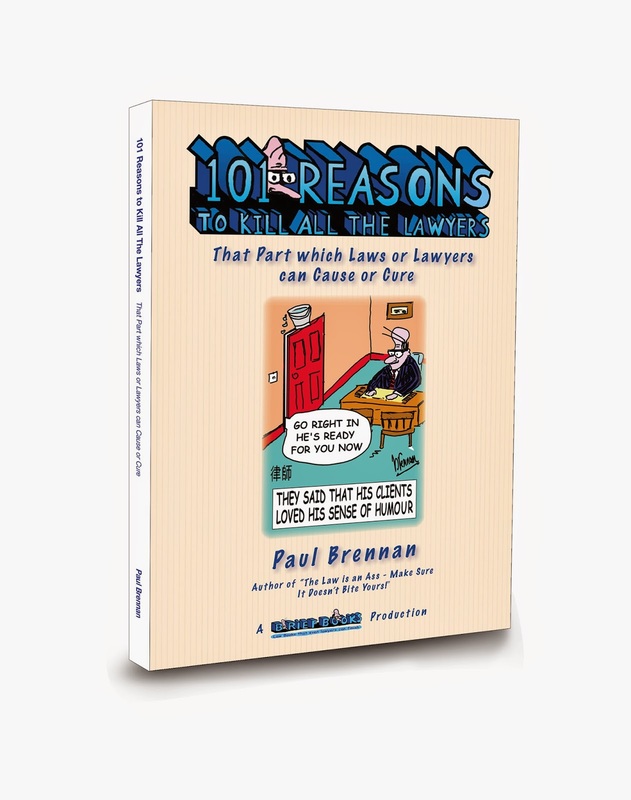 Are you looking for something special for the legal person in your life? Q. Will it give me an insight into my lawyer husband? A. No, nothing that you have not suspected over the years. Q. Do you do exchanges? A. No, you married him. I first came across the Art of War when I lived in Hong Kong. The book offers advice on military strategy. It was written about 2,500 years ago, by Sun Zhu, general of the Kingdom of Wu an area situated a few hundred kilometres north of Shanghai. Much has been written about the Art of War by management gurus and others so that there are 1,500 titles in paperback on Amazon alone. 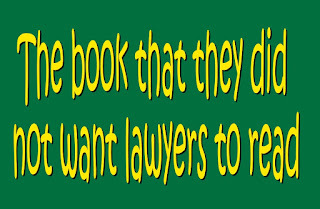 It has an immediate strategic advantage when compared with any law book in that it is only thirteen chapters (6,000 words) long, available for immediate download and free. It was written at a time when an ill-advised attack on a neighbouring state could lead to disaster and death. This may not be the case in a dispute between neighbours today, but if you have ever been involved in a dispute with your own neighbour you will know that it can certainly feel that way. The advice is aggressive as winning is all important but also cautious maybe because one of the casualties of a wrong move was often the general himself. Some of Sun Tzu’s advice such as obtaining information by bribing your enemy’s officials, seeking out concubines greedy for gold in your enemy’s camp or the chapter on the use of fire in battle has less application in legal practice today. 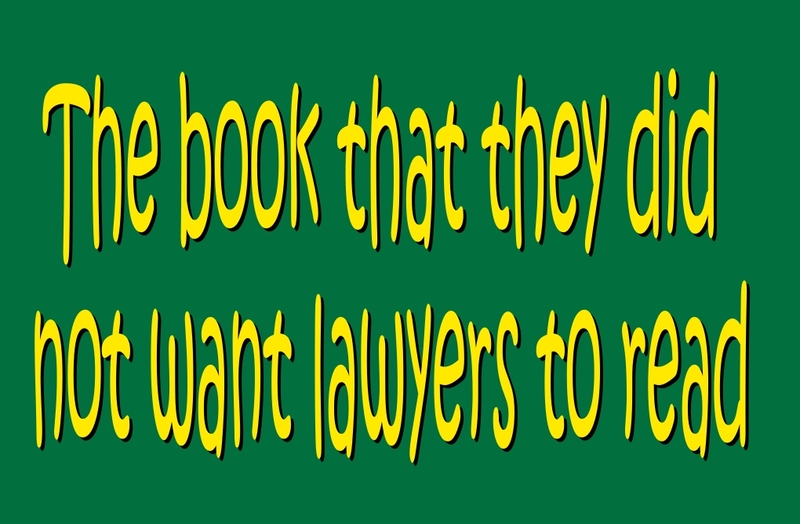 However, the book contains plenty of other advice for legal practitioners and clients alike. 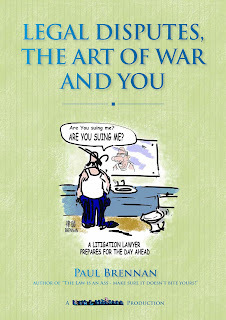 There is practical advice such as the “Object of War is Peace” especially useful for a client demanding immediate reprisals against a brainless neighbour. Know the enemy and yourself and you will win, know yourself and not the enemy and you will win some and lose some. Know not yourself or the enemy and you will lose. The side that is the most loyal, has the ablest general, chooses the best time and place, is the stronger and more disciplined, will prevail in war. 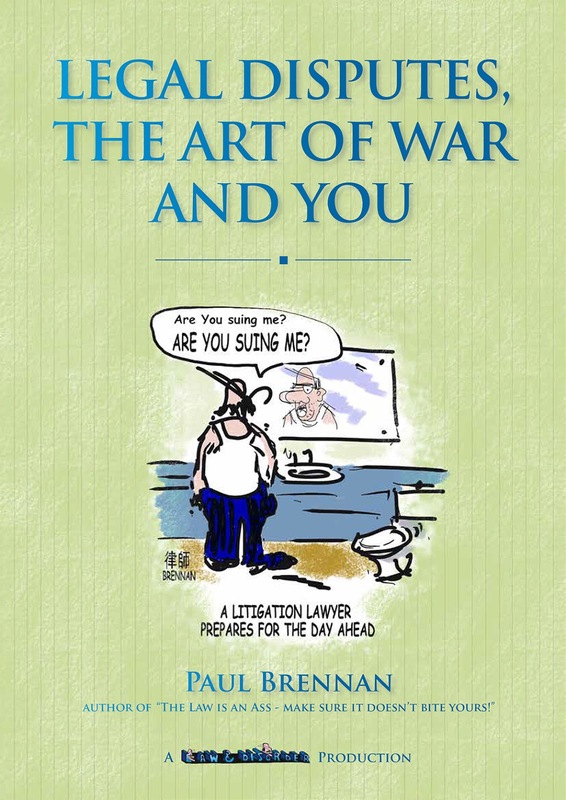 The Art of War can help to explain why the forceful, immediate action expected by clients in new litigation matters should be combined with some forethought. Before rushing on, I try to remind myself of the words of Brendan Behan who said “I have never seen a situation so dismal that a policeman couldn't make it worse” which could easily apply to a lawyer who does not ask “Where are we going with this?” preferably before sending out the initial letter. Be first in the field so that you are fresh as an enemy who rushes to the fight arrives exhausted. Combat is expensive, and the longer it goes on, the more expensive it will become. Prolonged combat will deplete your resources and weaken you. There are roads not to follow, towns that should not be besieged, armies that should not be attacked and positions that should not be challenged. Only seek battle after the victory has been won. my personal favourite being - if outnumbered flee. The King of Wu could not have been an easy client, and yet Sun Zhu was uncompromising in maintaining that it was essential for victory that the sovereign should not interfere. A general will look for flexibility and opportunity and a sovereign’s commands may constrain this approach. It is far easier to tell a client that Sun Tzu cautions against interfering rather than suggesting that it is your idea. Sun Tzu advises generals to gain no reputation for wisdom or courage as if you plan secretly, act with stealth and win without fighting your victories should not be known. 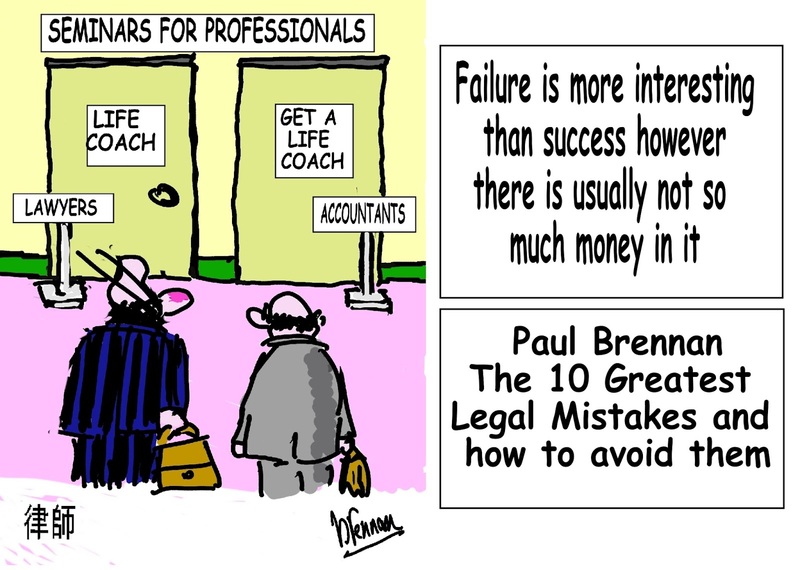 Noting the number of award nights that there are for lawyers these days this may be difficult advice for all but the most disciplined and humble litigation lawyer to take on board. You will start to find the advice of Sun Tzu to be useful in many areas of your life. Having said that even a small homily from Sun Tzu within marriage is dangerous ground. (c) Paul Brennan 2017. All rights reserved. 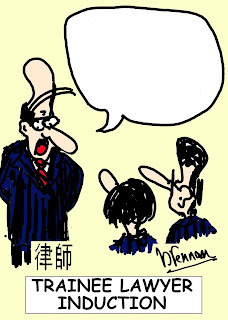 Eric Elrington, Beenleigh Legal, Beenleigh "I accept I need you and the QC Mr Williams, but TWO junior counsel? How much will this all cost?" " None of you look like Clarence Sparrow!" In 2006, our first competition was a John Fytit look a like competition. There were a number of senior lawyers put forward by their staff but the winners were never identified or in most cases informed. Then there was the more successful Three Minute Legal Quiz. 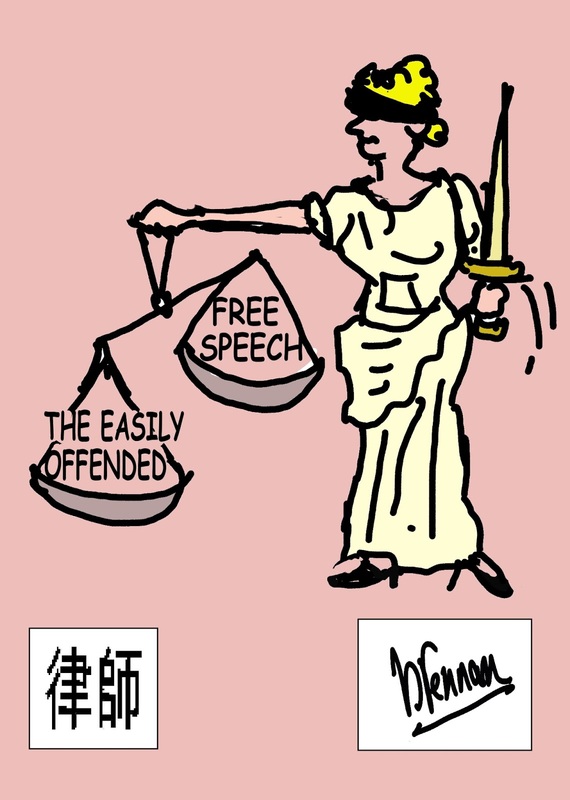 Only subscribers to the Law & Disorder eZine can enter. 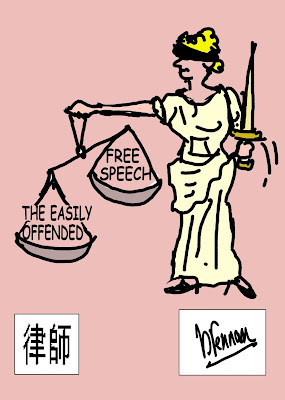 However, subscription is free and immediate athttp://www.lawanddisorder.com.au/ezine.html. 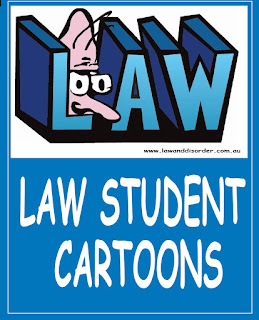 Click here to enter the 2017 “Law & Disorder” LegalCartoon Caption Competition. To enter send a cartoon, or post a caption below on or before 25 June 2017. 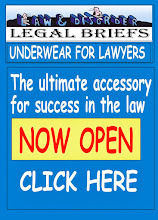 Only one entry per person received by the Editor of the Law & Disorder Ezine by way of post under the announcement of the competition, or received at email info@lawanddisorder.com.au, or otherwise acknowledged by the Editor by midnight on the date referred to in the announcement of the competition shall be accepted. 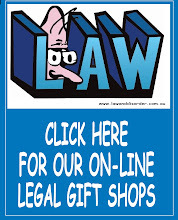 Only subscribers to the Law & Disorder Ezine can enter however subscription is free and immediate and can be made at http://www.lawanddisorder.com.au/registerezine.html. The decision of the Editor shall be final in respect of the interpretation of these rules, selection of the winning cartoons, caption or captions and all other matters concerning this competition or its prizes including the cancellation of this competition. Entrants warrant that the cartoon/caption is their original work and has not been copied and does not infringe any other persons rights. 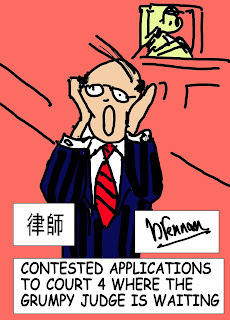 All entrants retain the copyright in their caption but by entry grant a non-exclusive, irrevocable, licence to the Law & Disorder eZine which can be assigned or sub-licenced to any of its sponsors, or related entities to use their cartoon and caption in connection with the cartoon in any medium worldwide without further attribution or any payment. The winning entrant or entrants confirm that they permit the Law & Disorder eZine to use their name in any announcement or promotion by the Law & Disorder eZine or any of its sponsors, or related entities regarding the competition. The winner of the Competition shall be sent the prize referred to in the email promoting the competition (or where there is a choice of prize, the prize chosen by the winner). If the winner cannot be contacted within one month or there is some other impediment to the prize being sent, then the right to receive the prize lapses. The prize can be substituted for some other prize at the discretion of the Editor. 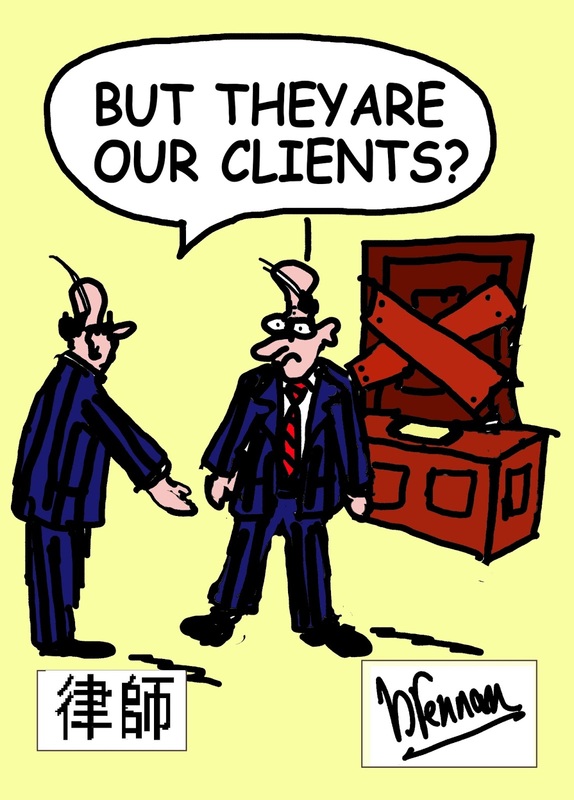 The new Law App (“the LApp”) heralds the Uberization of legal services. The LApp will enable you to summon the lawyer of your choice who will not only provide legal advice at an agreed hourly rate but also take you to where you want to go at no extra charge. This service transforms the much-maligned billable hour into the essential ingredient of fee transparency. If you do not like the advice, you can stop the clock, get out, hail another lawyer or just discuss your legal problem with an Uber driver of your choice. 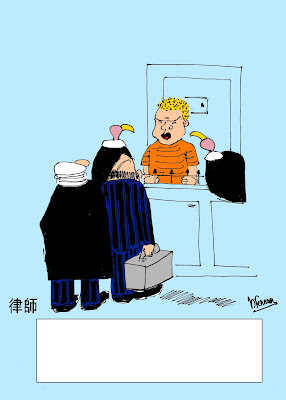 There will be no more waiting in shabby lawyer’s offices; you select the quality of the vehicle, the uniform and even the disposition of the lawyer/driver (“LD”). The clock only starts once the LD with the requested specialisation arrives at your door. The ability to review the LD is a Premium Feature of the LApp available at an additional charge. Due to its popularity, extra servers are being laid on in Arizona. The LApp also offers judges (JDs”) and mediators (“MDs”). 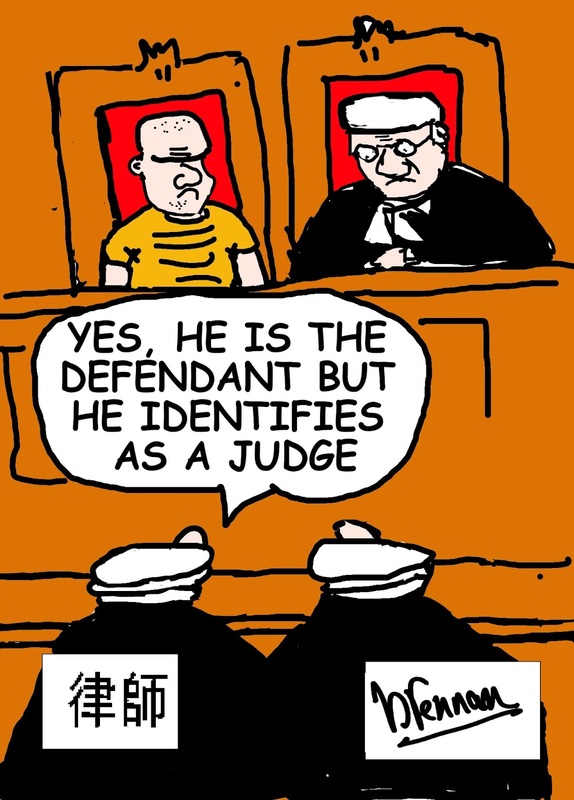 A JD will pick you up and determine your dispute during the journey. The JDs will be just as cantankerous as any taxi driver. However, you can end the tirade at any time, an option not available in court. 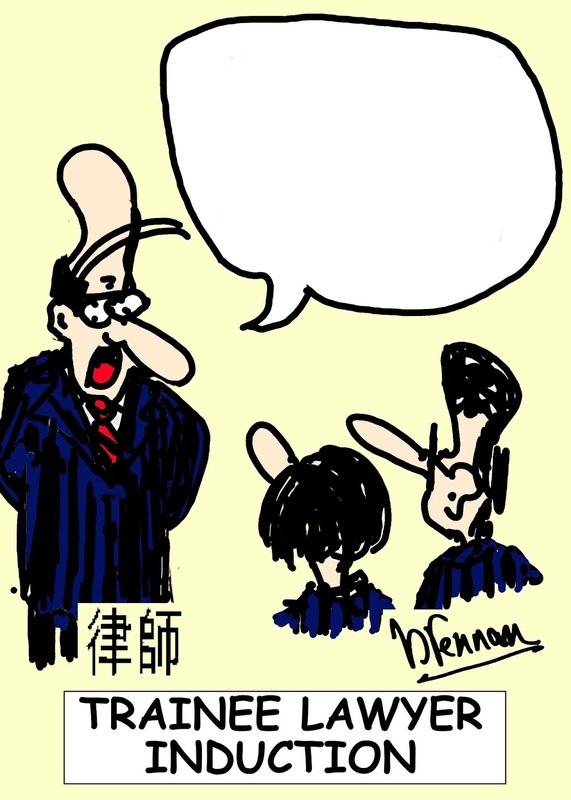 An MD will conduct the mediation during the journey. 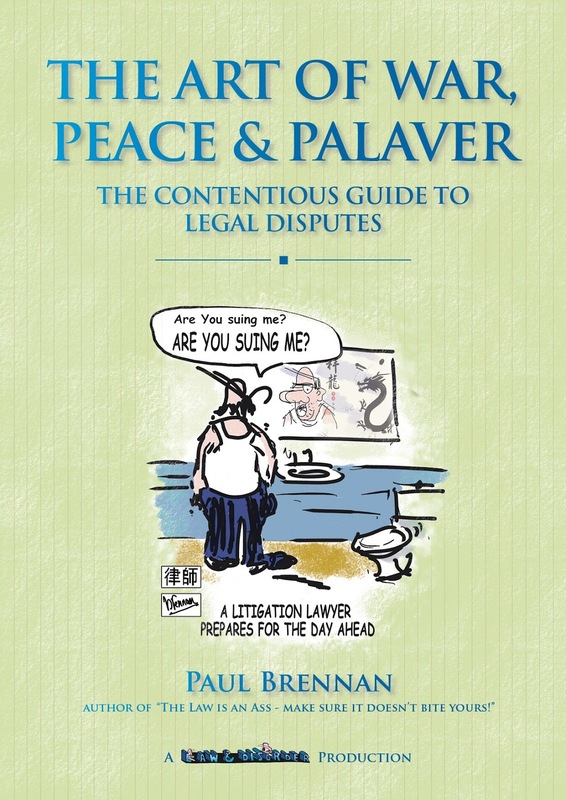 Some mediations may need to start off in two separate vehicles taking different routes to avoid unpleasant exchanges at traffic lights or in heavy traffic. 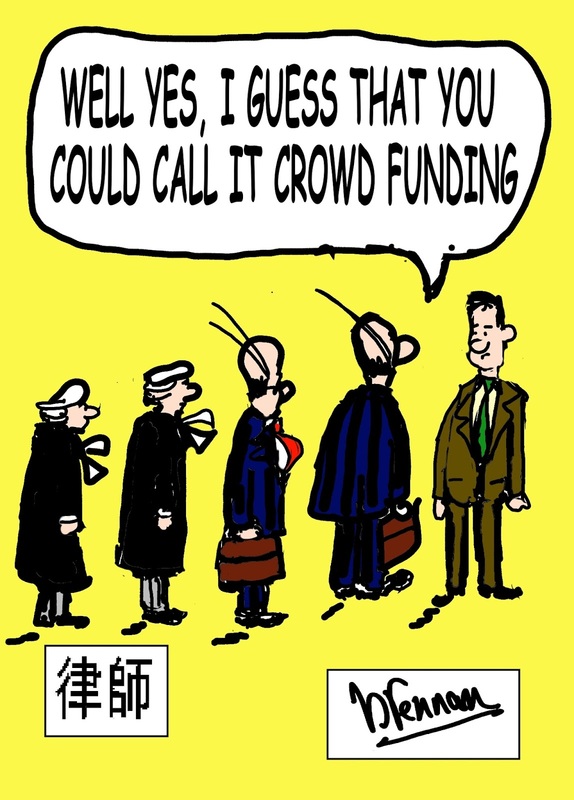 There are plans for volunteer juries to be empanelled to assist in making a decision in your matter. A coach with a well-stocked bar and an enticing destination should eliminate reluctant jurors. You will arrive at your destination with your legal problem solved without the usual delay. 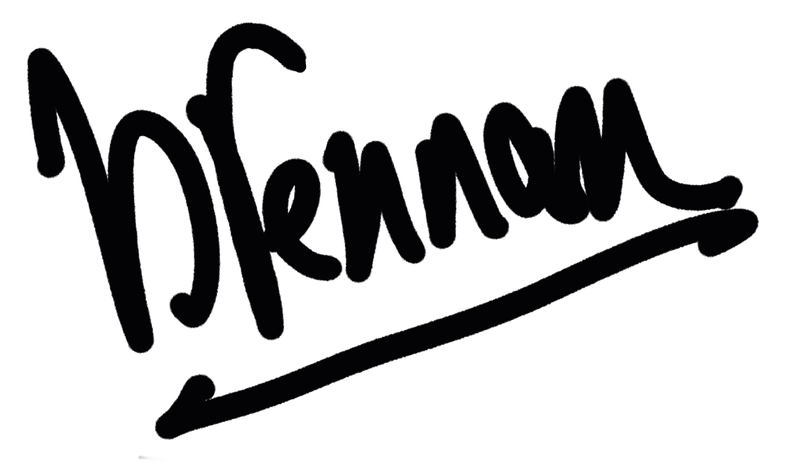 (c) Paul Brennan 2016. All rights reserved. Assisted suicide may now be expressed as the less alarming “assisted dying”. However, we shall not see any significant benefit until euthanasia is embraced as an Early Demise Opportunity (“EDO”) by persons ready to make an empowered choice rather than seeing themselves as victims meeting an untimely and unfair end. Counsellors and psychologists should stop convincing people to be survivors and start promoting death as quicker than cognitive therapy and far less painful than life itself. For the terminally offended death would be a release. Victim status need not be abandoned but a higher commitment should be demanded to eliminate malingerers. What real victim would not relish being thrown to the lions before a jeering or (with training) disciplined and respectful crowd. This is not only an eco-friendly solution but could do wonders for zoo attendance. Organisers could seek church sponsorship so that stoic participants would have the prospect of being declared martyrs. Provided no lions were injured or traumatised during this process, Demisees would be a welcome addition to the Live Export Trade to zoos worldwide or even Africa. What Baby Boomer could resist the lure of an all you can eat overseas trip? Obesity would no longer be an issue as people could eat as much as they wanted in the knowledge that one day they could be doing their bit for the starving lions of the Serengeti. - Six months before Demise (“D”) Day the RTD’s money should be placed in Escrow to prevent last minute sprees. - The Will should be examined and amendment encouraged where the terms are not acceptable to the family. This should significantly reduce post-death surprises leading to family conflict. 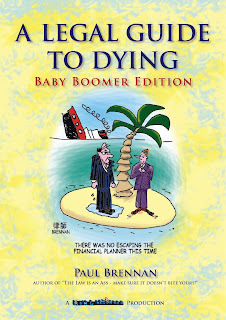 Euthanasia would not only relieve adult children of the cost and worry of caring for aged (or difficult) parents but we would all benefit from shorter queues at Andre Rieu concerts. 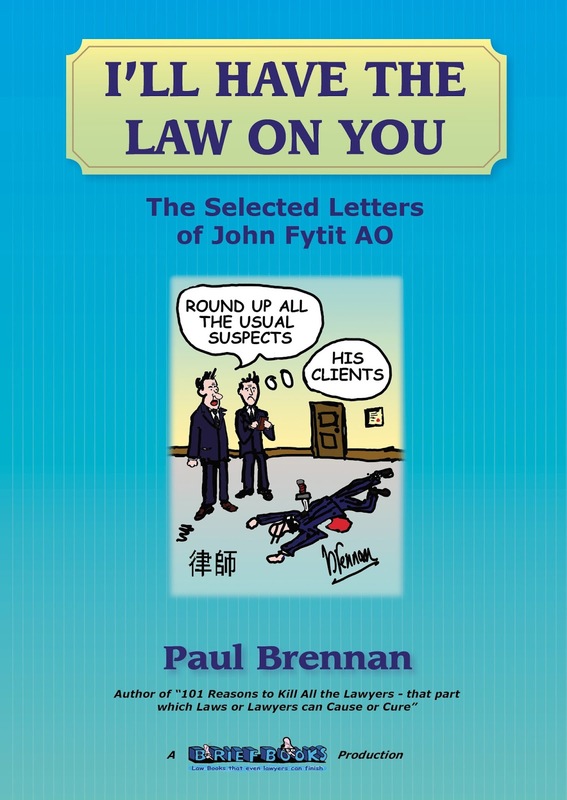 I’ll Have the Law on You is a politely amusing compilation of ‘legal’ and ‘life’ advice provided by fictitious lawyer, John Fytit, in response to legal questions received from judges, prosecutors, politicians, lawyers and the odd wife. I must confess I am not familiar with Brennan’s other works, including Hang on to It Girl: The Wily Woman’s Guide to Wills, though for US$5 on Amazon, I could be tempted. 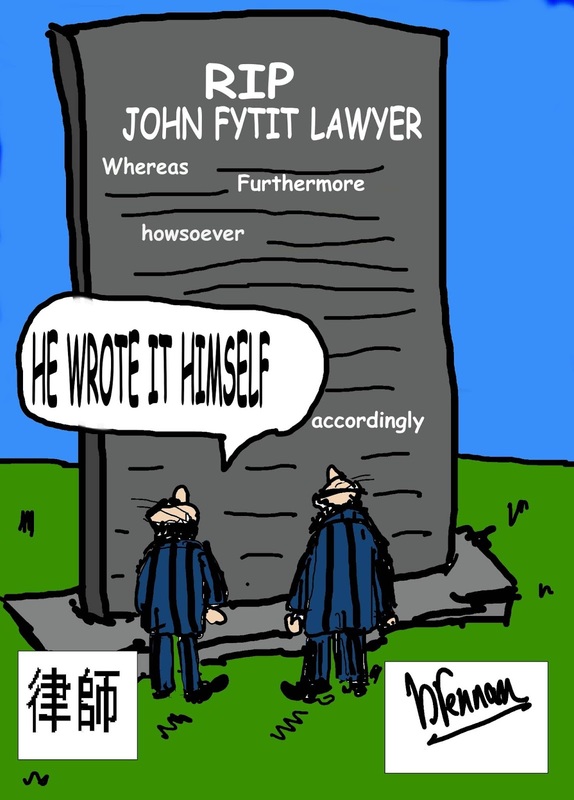 For some, the creative advice of John Fytit may be a traumatizing self-reflection narrative. 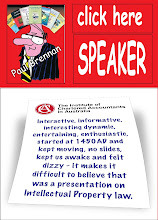 Others may see his advice as safe ‘Golden Gavel’ material – the secret is out! 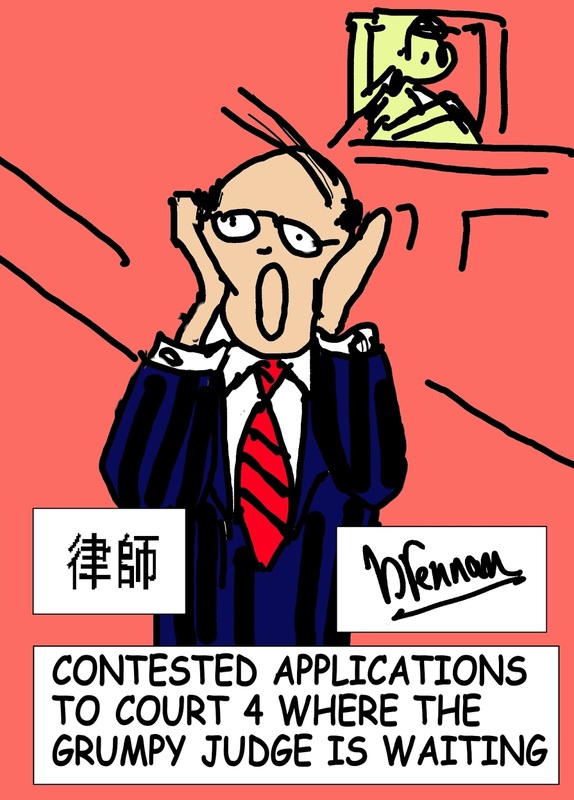 And others may just enjoy looking at the cartoon illustrations and consider a career change. The book is divided into eight parts, including Career Advice and Self-Help and Advice on Issues Raised by People with Nothing to Do (the former part perhaps written by people mentioned in the latter part). You have all now been warned! Perhaps the hardest thing to swallow is the disturbing truth about Brennan’s observations. Fytit’s responses are at times witty, cringe-worthy, a scary mirror to reality and a refreshing reminder that it cannot always be this bad. I must admit a few chuckles and smirks escaped as I read. 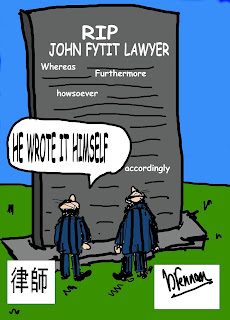 At least Fytit’s receptionist has the nous to tell the clients that their lawyer is ‘currently unavailable’ rather than ‘Yes, your lawyer is in today but told me he/she doesn’t want to talk to you,’ a true story from a local Darwin firm. True, they did not teach this. Rating: 3 out of 5 laughs. 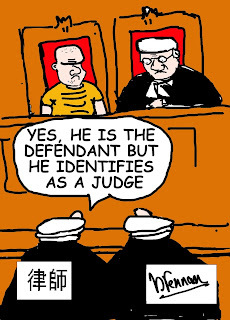 (a) the act is reasonably likely, in all the circumstances, to offend, insult, humiliate or intimidate another person or a group of people with no sense of humour. For lawyers, the accusation of "insufficient legal content" is up there with being no good in bed and a lousy driver. Thank you for sending us a copy of your book so that the Gazette Editorial Board could consider it for possible review. The board decided at its meeting today not to assign your book for review, as it was deemed to have insufficient legal content for the Gazette readership. Have the solicitors of Ireland not got enough legal content of their own to be going on with without making demands on mine? This sounds like the work of some fresh-faced chancer in the Society’s marketing department, eager for promotion who has convinced the Board that Irish solicitors want legal content. To my wife, I leave my lover, and the knowledge that I wasn’t the fool that she thought I was. To my son, I leave the pleasure of earning a living. For thirty-five years he thought the pleasure was mine. He was mistaken. To my daughter, I leave $100,000.00. She will need it. The only good piece of business her husband ever did was to marry her. To my valet I leave the clothes he was stealing from me for the past ten years. To my chauffeur I leave my cars. He almost ruined them and I want him to have the satisfaction of finishing the job. And lastly, to my partner, I leave the suggestion that he take somebody else into business with him if he ever expects to do any business.